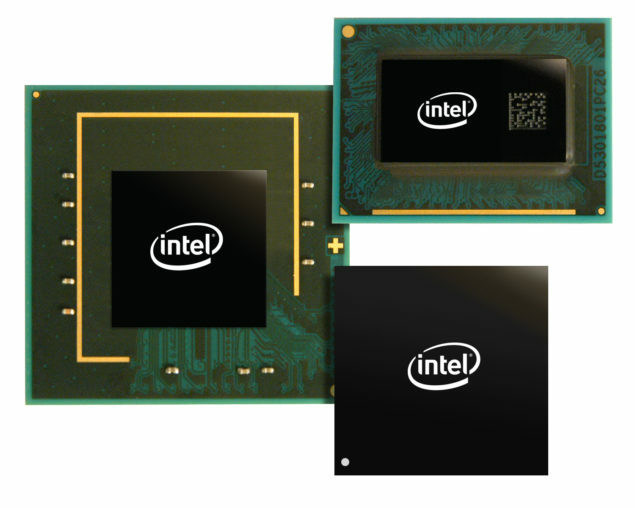 Intel’s Lynx Point 8-Series chipset models for next year’s Shark Bay platform have been revealed and detailed. The Shark Bay platform which comprises of the 8-Series Lynx Point chipset would allow compatibility with the LGA-1150 Haswell processors which are slated for launch in first half of 2013. 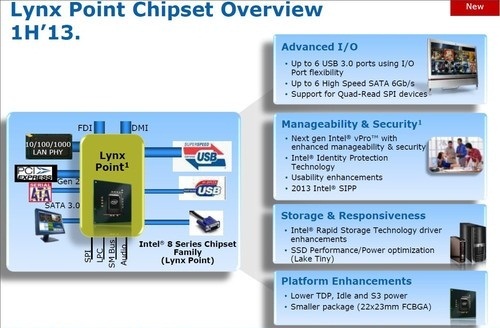 The Lynx Point based 8-Series chipsets come in various models for consumer and business needs. 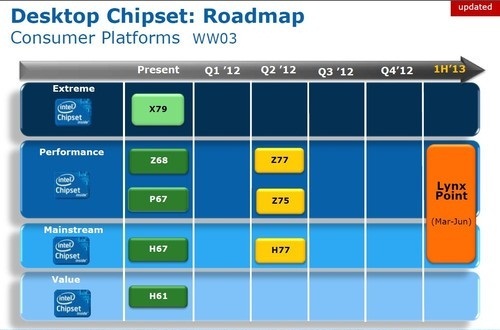 The desktop platform would get Z87, H87 and Z85 and business platforms would get Q87, Q85 and B85 chipsets. For the Xeon oriented Haswell processors, The C228 chipset would be released replacing the current 7-Series based C216 chipset. Some new features would show up in the 8-Series chipsets such as native support for USB 3.0, SATA 6GB/s, support for Quad speed SPI Devices and an updated rapid storage technology which would allow users to switch there SSD/HDDs in three different settings – three different settings, power efficiency, maximum performance and balanced mode. The Z85 chipset would lack support for Raid though that’s not much of a loss. Furthermore, reports suggest that mass production of Haswell beings in Q4 2012 and launch is slated between March-June 2013, More details here.